On Friday, Nov. 22, Ed and Marilyn Lorenz went to Columbus Georgia with five students from the Amnesty International chapter at Alma College to participate in the School of the Americas (SOA) Watch protests at the gates of Ft. Benning. They traveled on an United Auto Workers bus from Detroit, arriving in Georgia on the morning of Saturday, Nov. 23. On Saturday they participated in events at the Gates of Ft. Benning. They also met member of Pax Cristi from Washington, D.C. The number of young people at the events was especially encouraging. There were groups from Warren Williams College in North Carolina, Loras College in Dubuque, The College of St. Thomas and St. Catherine’s in the Twin Cities, Holy Names College in California, and Goshen in Indiana. There were high school students that we met from as far as California and Missouri. Of course, there also were the United Auto Worker members. On Saturday evening there were a number – almost too many – of great presentations and films. John Dear, S.J. gave a great talk on living the work of peace. There were films on torture, cooperative worker enterprises and women and the military. On Sunday we returned to the gates of Ft. Benning for the formal ceremonies recalling the martyrs of the Americas, often killed by people trained at the School of the Americas. As we went to Ft. Benning, one of the UAW members led us in prayer, including for the soldiers put in the terrible position of following orders and killing people of good will. Sunday was an extremely cold day for Georgia, with highs in the 40’s and a strong wind from the North. We were glad to return to the warmth of the bus, with a diverse group of defenders of peace and human rights – workers, students, younger kids of UAW members, and some of us not so young. We arrived back at Solidarity House in Detroit at 5:30 a.m. on Monday. Our Alma group then drove two and half hours back to campus, arriving about 8;00 a.m., shortly before two students had 8:30 classes. The experience, especially affirmed for us how we need to focus on finding and supporting youth to take up the challenge of building peace and justice. SOA Watch founder speaks: Fr. Roy Bourgeois. As Pax Christi people we stand for peace and nonviolence. Simplistically, against war and weapons. Yet, there are different levels of violence besides use and manufacture of guns and other weapons to denounce, that perhaps one hasn’t thought about. Pollution is one form of violence and the damage it does to our earth’s waters – lakes, oceans, streams, rivers, etc., besides the water used for drinking, bathing and recreation. 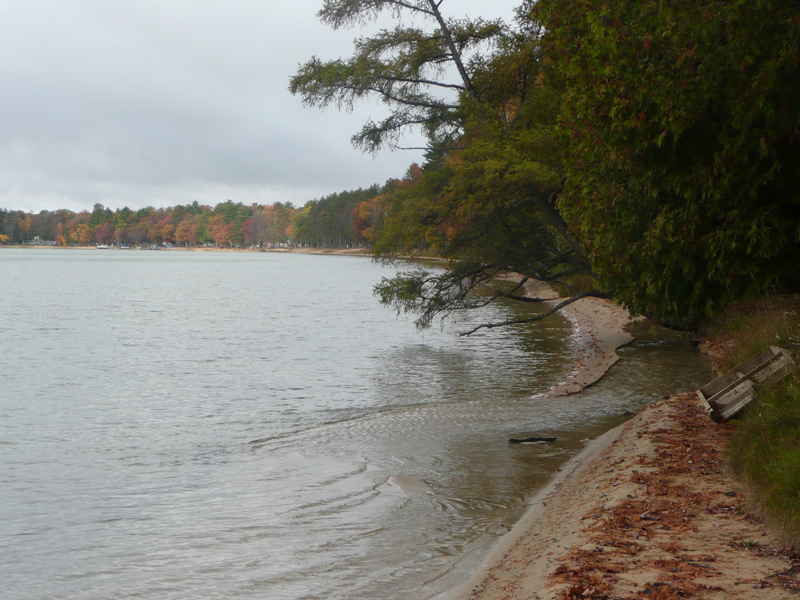 The 19th Annual PCM Retreat focused on refreshing oneself … and that we did with the presence of wonderful people who truly care about each other, about promoting peace and nonviolence, and demonstrating a commitment to nonviolent ways in our lives. 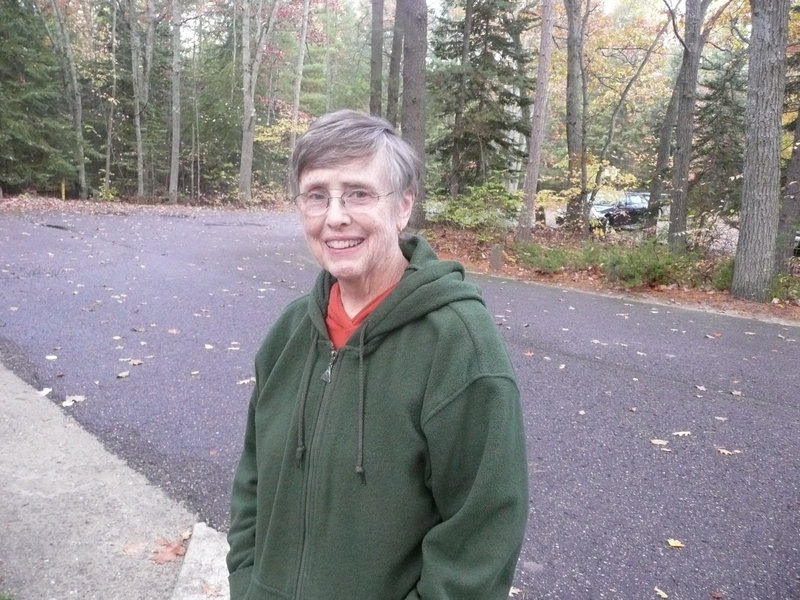 Sr. Sue Schreiber, an Adrian Dominican sister and life-long supporter and member of PCM, this year’s wonderfully inspiring PCM retreat director, encouraged awareness of water and its key to life and the environment. With her calm and soothing manner, voice, expertise, talents, skills and knowledge, attendees listened as she asked participants to examine how water affects their daily lives. 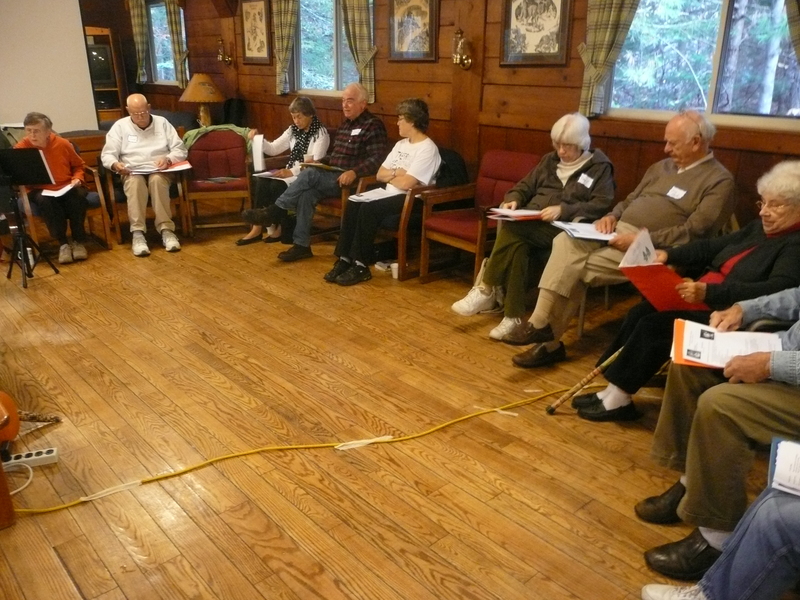 Participants sat in a circle at the Ralph A. MacMullan Conference Center on Higgins Lake in Roscommon. The 23 retreat participants examined the joy of water; stories emerged of water’s affect in personal lives… thoughts of swimming, bathing, drinking, watching the stillness of the lake nearby, swimming, skating on frozen water, cooking with water, etc. There was encouragement to offer compassionate care for water, and avoid taking it for granted or wasting it. Some walk daily a great distance to obtain the water they need. Retreats tend to refresh, but this retreat did more than that … the realization that “we” were a family of individuals coming together to connect and gain strength from each other for the ongoing journey. Together through songs, prayers, meditations, sharing, walks, presentations, nurturing, laughs … participants took moments to feel grateful, and be thankful and inspired.